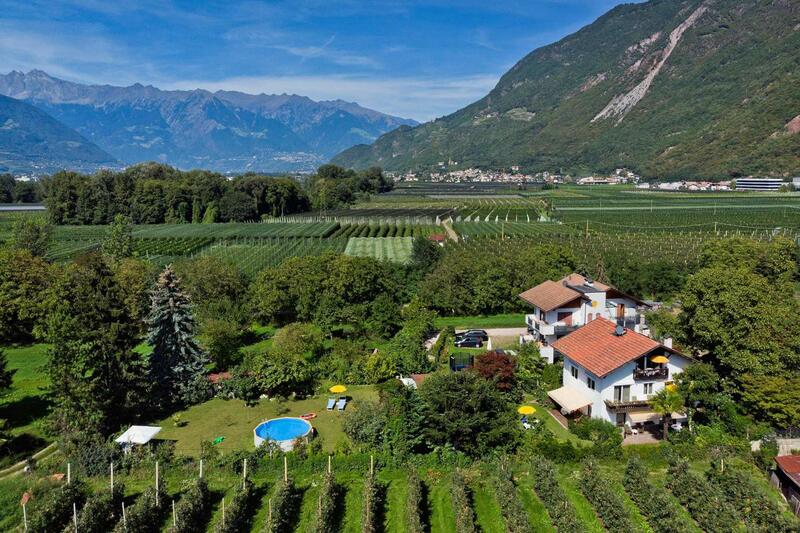 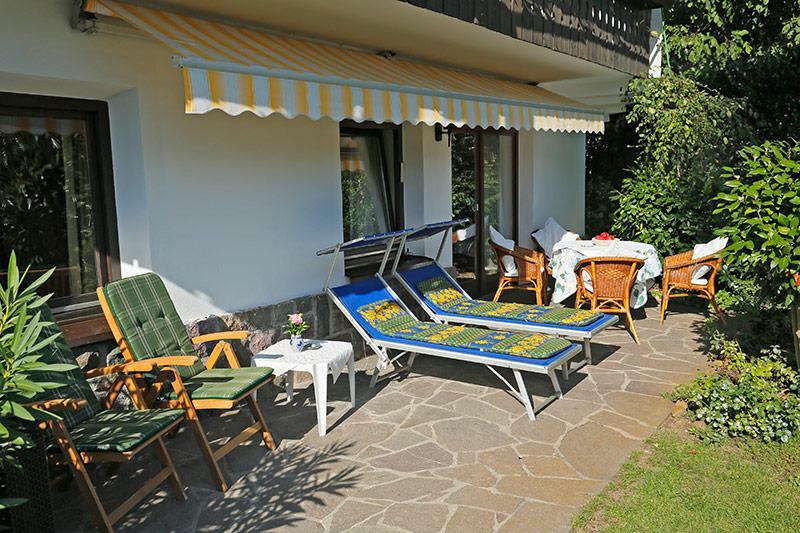 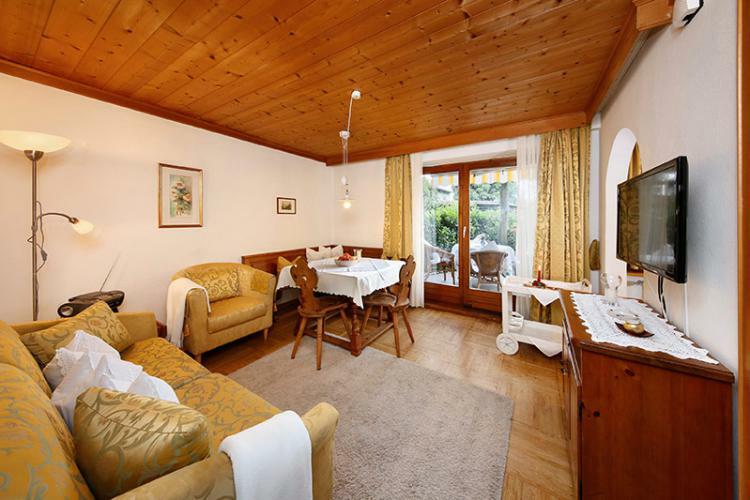 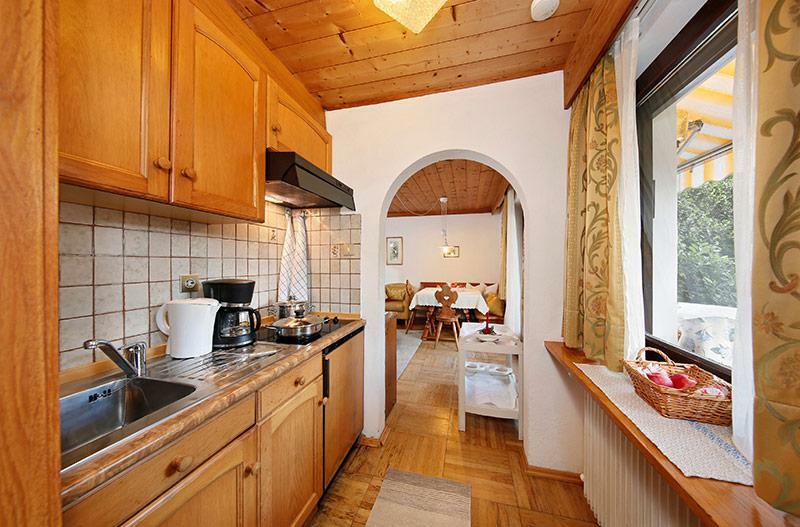 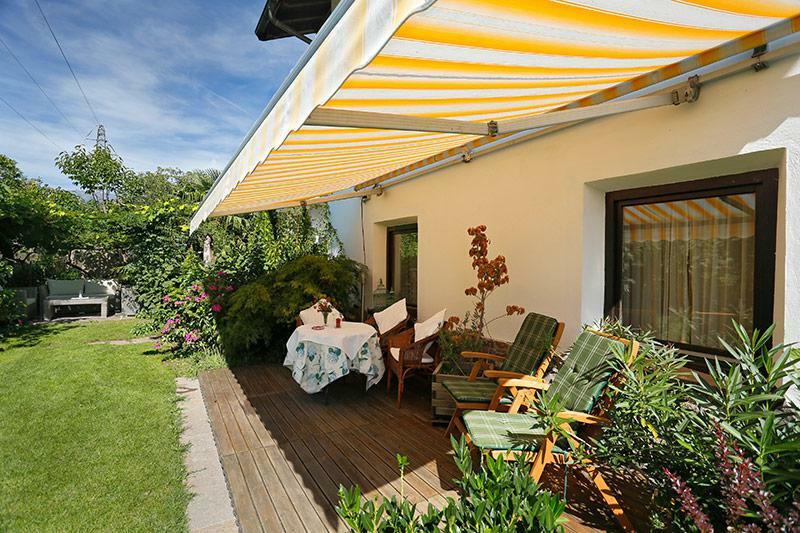 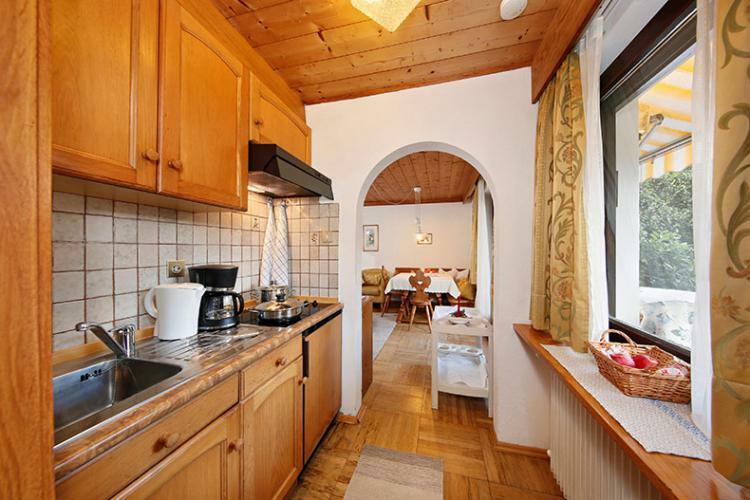 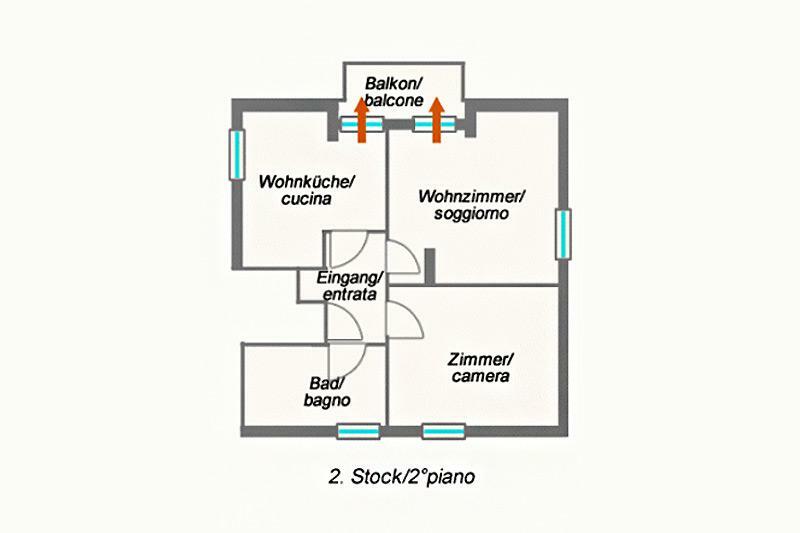 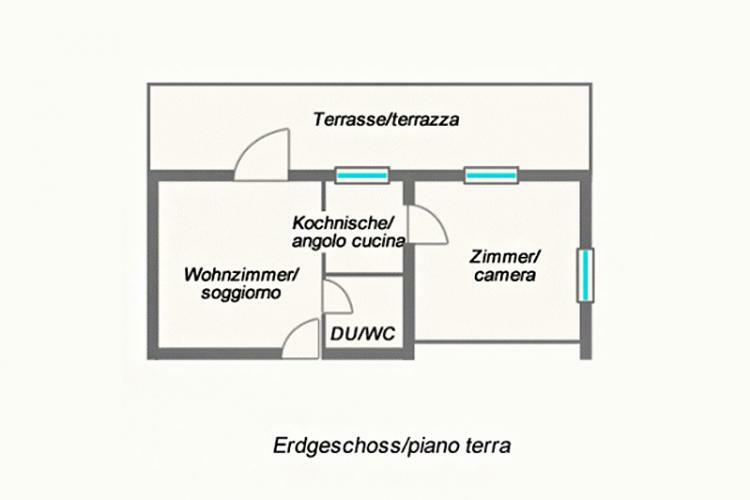 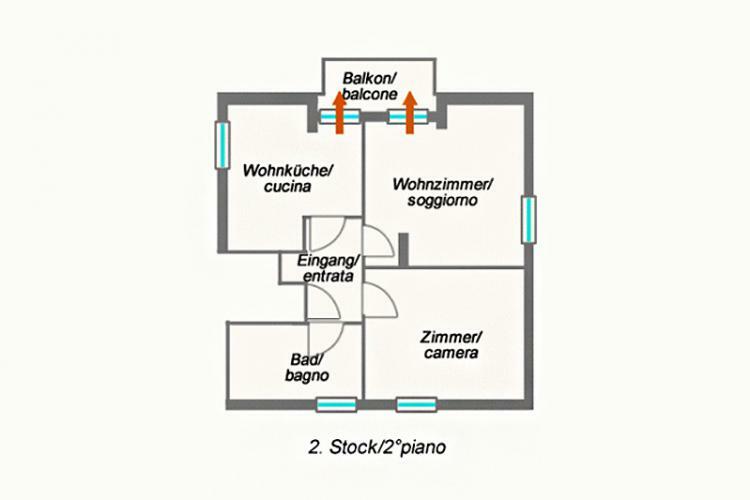 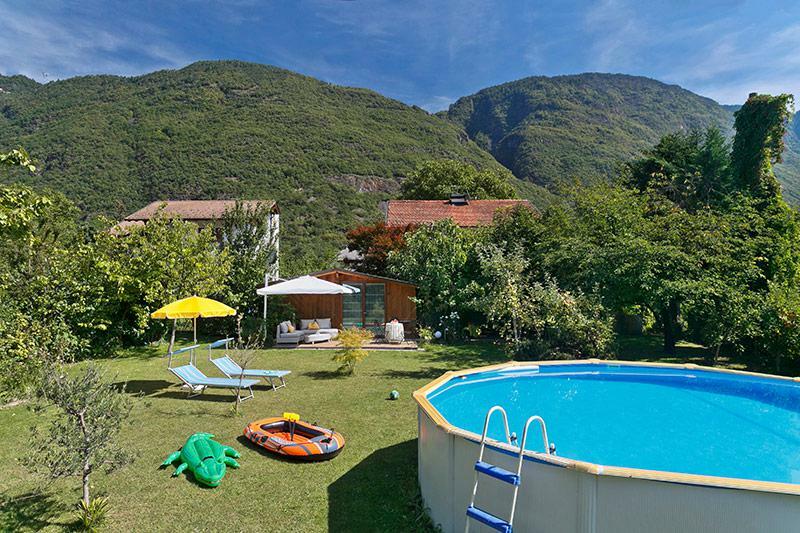 The apartments are located in Gargazzone, in the middle of the wonderful fruit countryside, called Burggrafenamt. 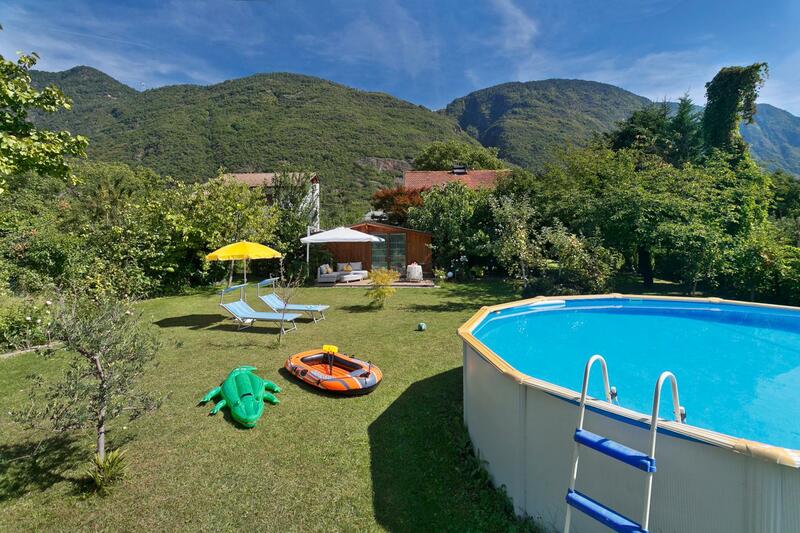 Surrounded by apple- trees there is our little swimming- pool (5.5m x 5.5m), spending a welcome refresh for the hotter days. Sitting in the shadow on our great terrace you can admire palms, roses, a mix of different flowers and the great amount of orchards, tipical in our region. The flowers have a perfume of summertime, the birds are chirping from the trees, and the mountains are surrounding you- a perfect environment for a successful holiday. 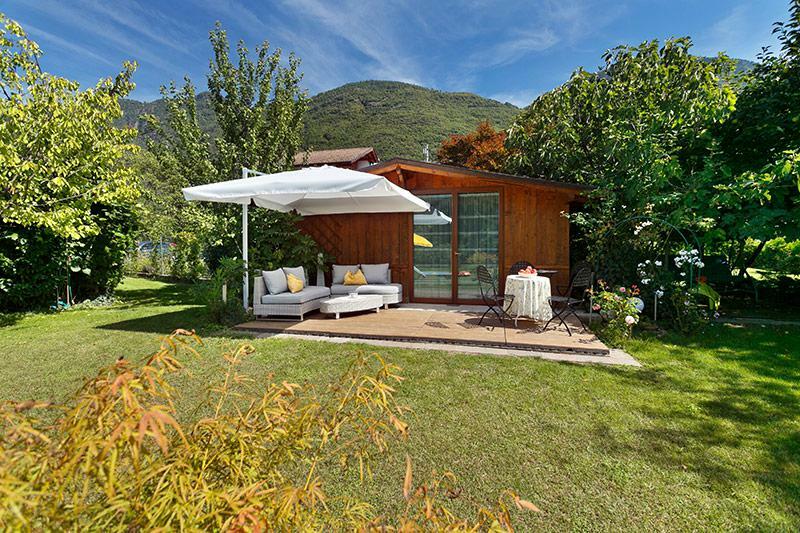 Immerse yourself in nature. 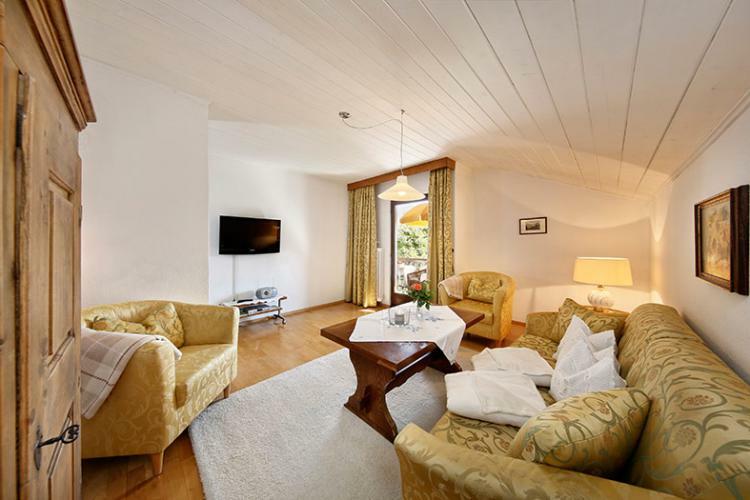 Our ground-floor holiday apartment features a bedroom with a double bed, a living room with a double sofa-bed, a well-equipped kitchenette with sitting area and a bathroom with shower and toilet. 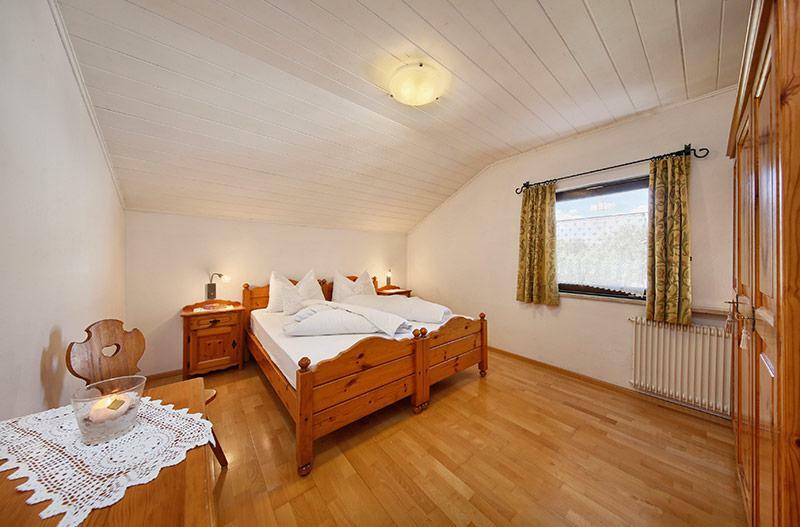 Bed linen, towels, cable-TV, telephone and WiFi are also available. 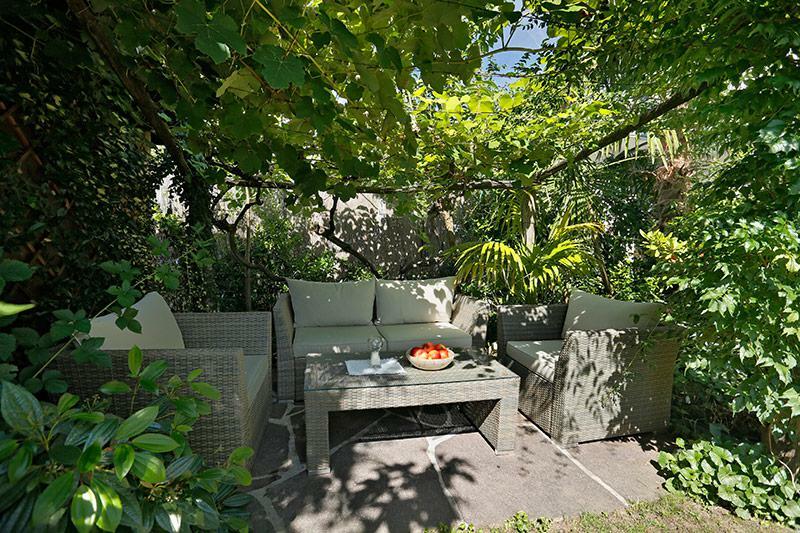 And our large terrace with direct access to the garden is a very special treat. 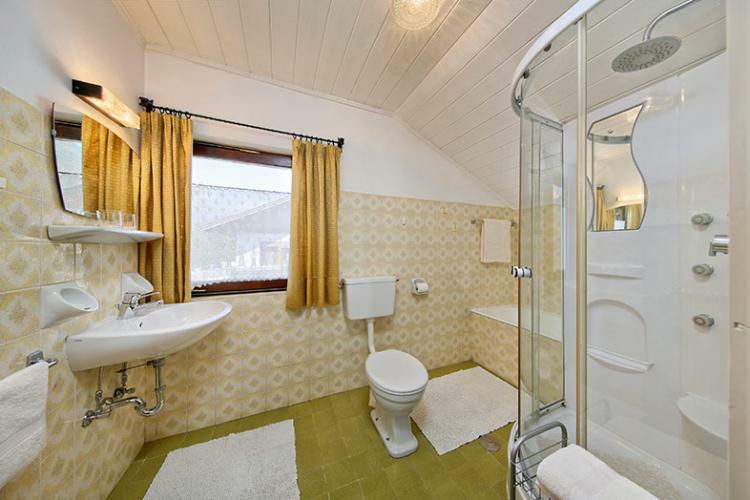 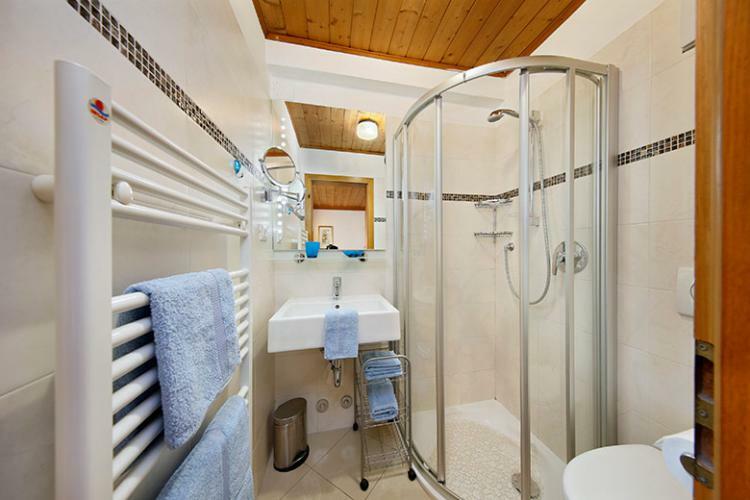 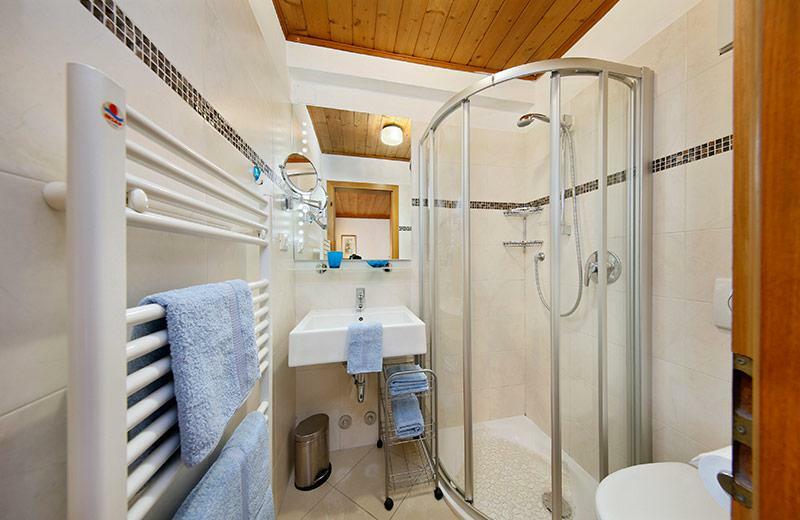 Our second-floor holiday apartment features a bedroom with a double bed, a living room with a double sofa-bed, a well-equipped kitchenette with sitting area and a bathroom with bathtub, massage-shower and toilet. 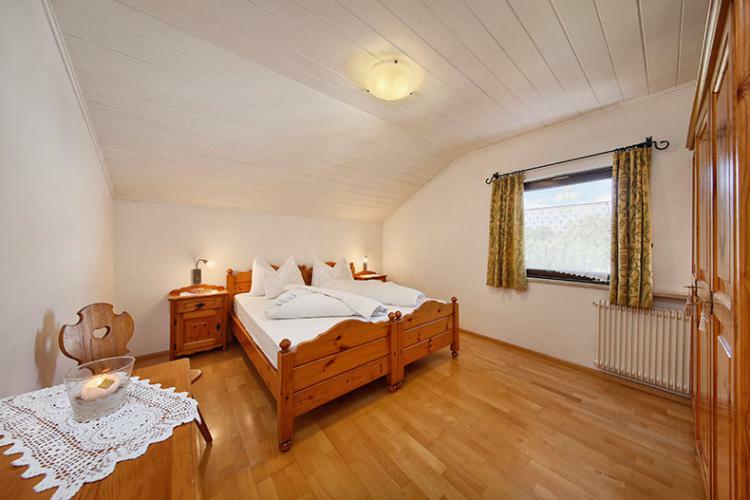 Bed linen, towels, cable-TV, telephone and WiFi are also available. 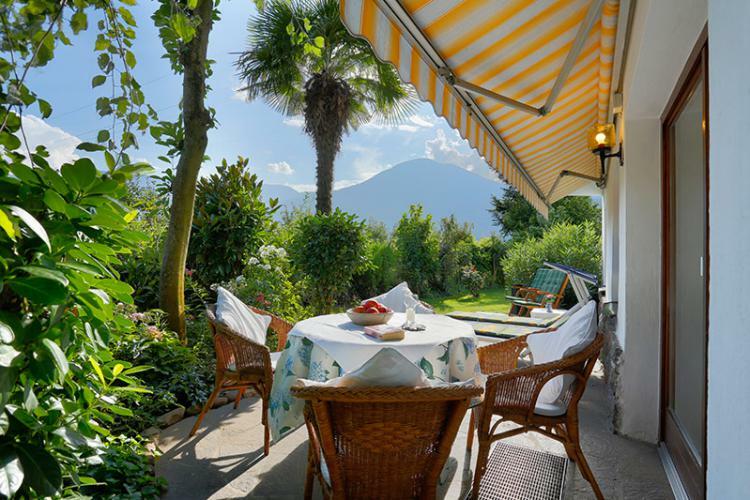 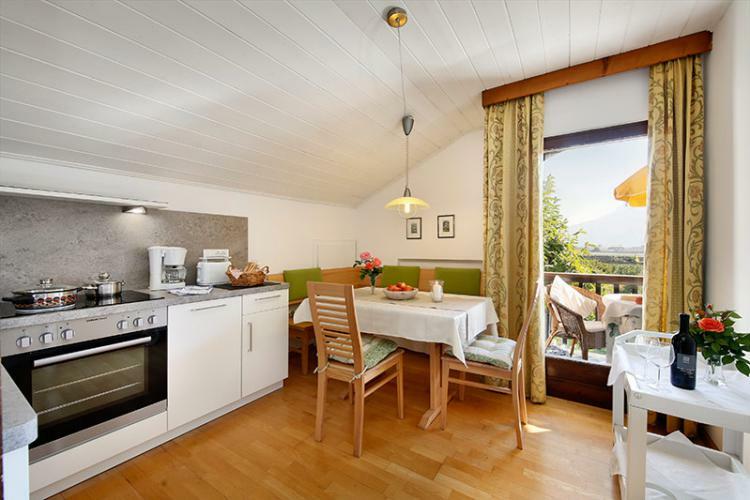 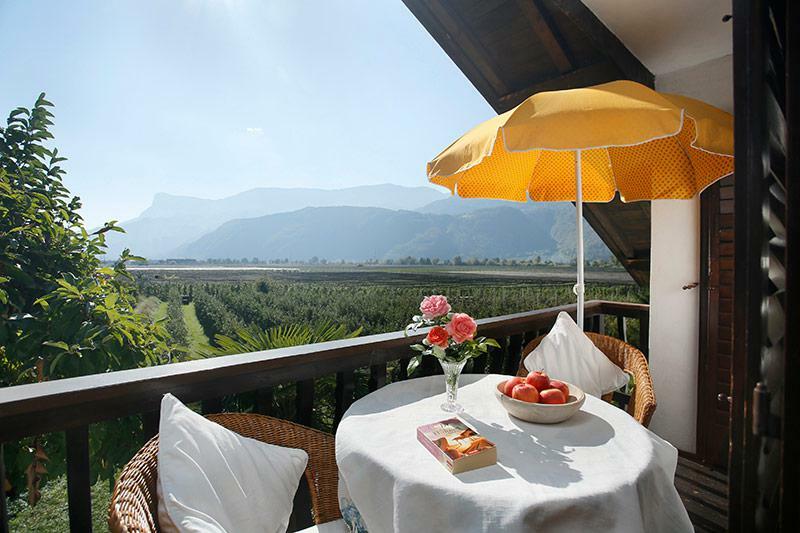 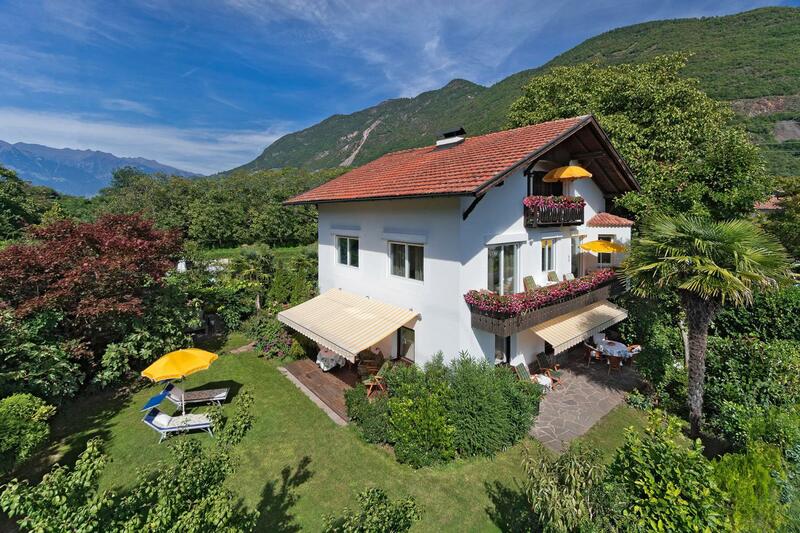 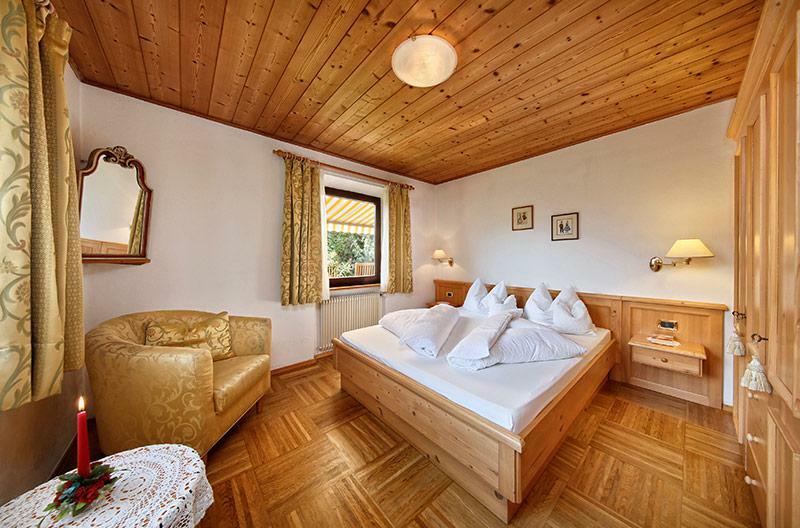 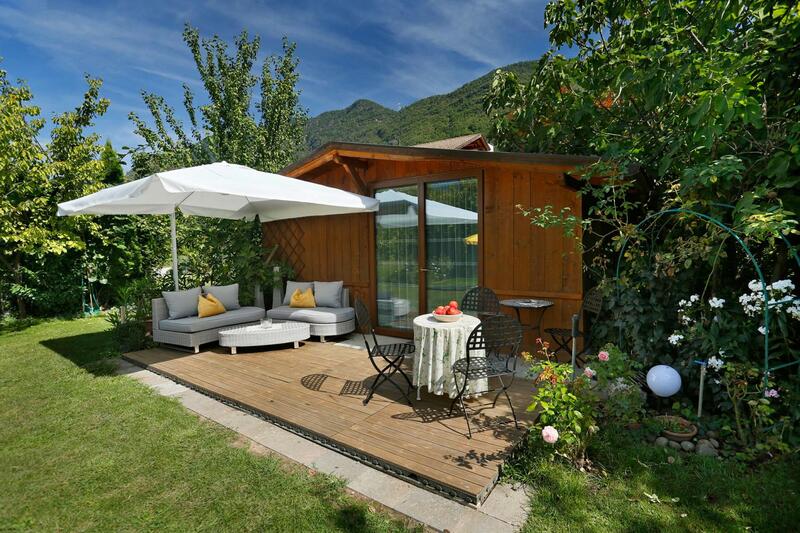 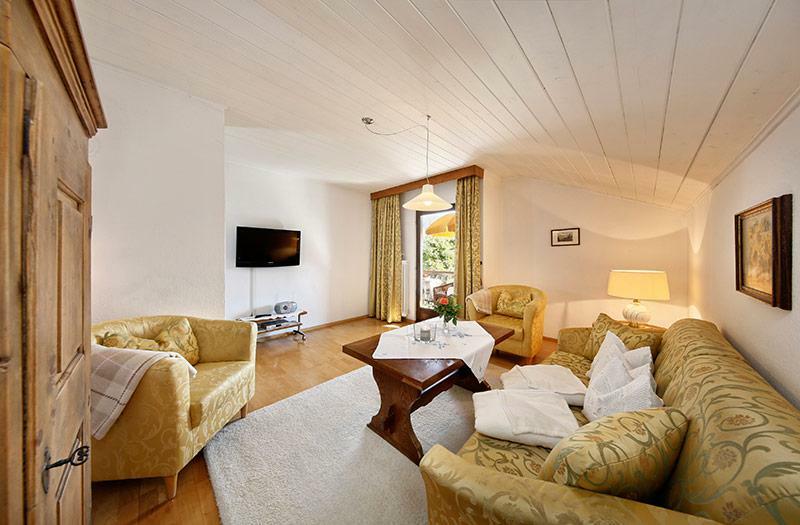 From our wonderful furnished south-facing balcony you can enjoy the stunning views over the surrounding orchards and the majestic South-Tyrolean Alps!